Suction Construction! 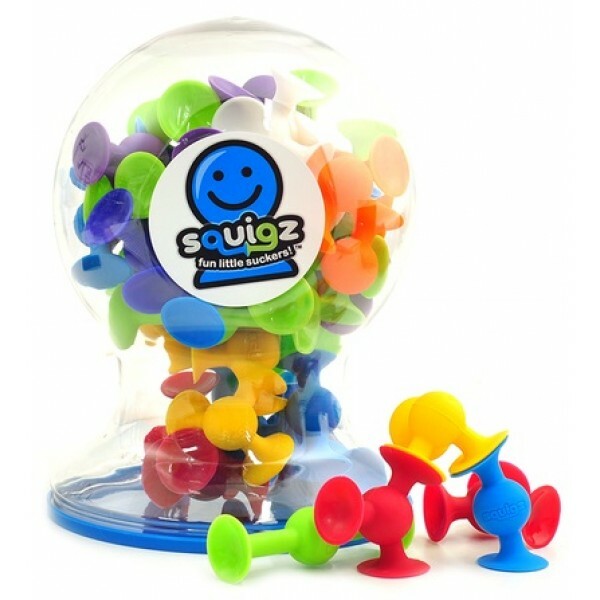 These Squigz build, bounce and stick to almost any surface -- even windows -- or take them in the bath for some epic bathtime construction fun! 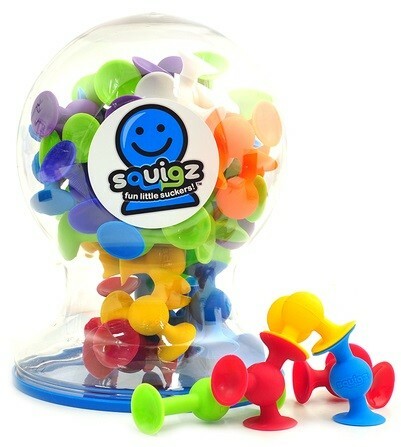 Super flexible Squigz can be assembled to create an impressive array of vehicles, robots, jewelry and more. Just as fun to POP apart! This deluxe set includes 50 of these fun little suckers. 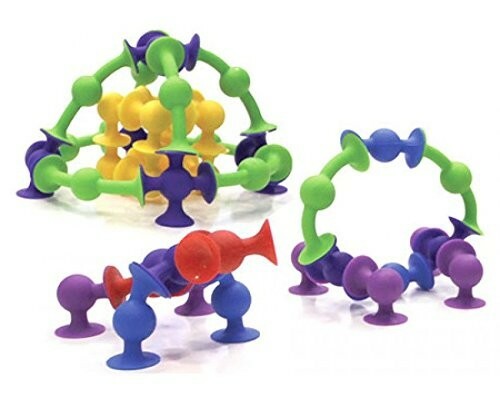 For more fun and innovative ways to build, check out our Building Toy Collection.